Mark Bernaldez of the Philippines faces the highly rated undefeated boxer Erick De Leon on July 14, 2018 at Lakefront Arena, New Orleans, Louisiana, USA. 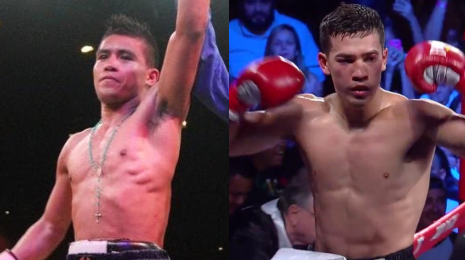 The fight will be included in the interim World Boxing Council World Super Lightweight championship between Regis Prograis and Juan Jose Velasco. Mark Bernaldez of the Philippines coming to this fight handling a record of 16W-1L-11KO's. The 26 years old Cebuano will fight in the US for the first time, in 2015, Bernaldez fought Tsuyoshi Tameda in Japan but was defeated via 7th round TKO after that he bounced back with a 1st round KO win against JP Macadumpis. Meanwhile Erick De Leon, is tough boxer with an undefeated record of 17W-0L-10KO's. De Leon is a 26 years old boxer from Top Rank, and currently rated no. 42 in the super featherweight division. In his last fight, De Leon fought another undefeated boxer Andy Vences but the fight was ended via majority draw.